I caught up with I-Octane to dive into the story of his reggae journey. The bright reggae-dancehall star explained that he didn’t choose music. Music chose him. In 2018 Octane committed to growth by giving his fans a better live music experience. Bringing old-school standards to the new school, he will be performing with a live band as much as possible moving forward. I Octane is the executive producer of his new studio album, “Love & Life.” The album is an independent project recorded at his studio for his label, Conquer The Globe Productions. He talks about why he chose that route instead of signing with an international major label. This artist is serious about applying proven business principles to solidify his career. Listen as he talks about his future goals, creative process, and reasons for his success. It was a time when Bounty Killer was given the title “Poor People Governor” and had a streak of hit songs banned from radio airplay in Jamaica because he spoke out against corruption and divisiveness in political policies and sang about ineptitude and abuse by local law enforcement. There was a resurgence of lyrical protest songs uniting and re-energizing the dancehall followers in the streets of Jamaica with positive messages earning the biggest crowd responses. Buju Banton, who emerged as the “Voice of Jamaica” delivered words of wisdom and warning to his fan base and his lyrical ideals deepened right along with his Rastafarian faith. The same went for Capleton who was dominant and was dubbed “The Fire Man.” Capleton burned the hottest fire with a string of releases that dissected and illustrated all the faults he found with “Babylon system” and during his live stage performances, massive eruptions of energy occurred. Artists such as Sizzla, Luciano, and Anthony B were also extremely influential within this conscious movement of the 1990s. The up-tempo (dancehall) riddims being produced in this era of Jamaican music offered very diverse story lines so there were songs about the latest dance moves, gunman tunes, girls anthems, and ganja dedications surrounded by songs about spirituality, African liberation, “burning out” current corrupt government officials and taboo trends, or the struggles of the poor in the ghetto. This mix focuses on the danceable selections of that period that kept it real. 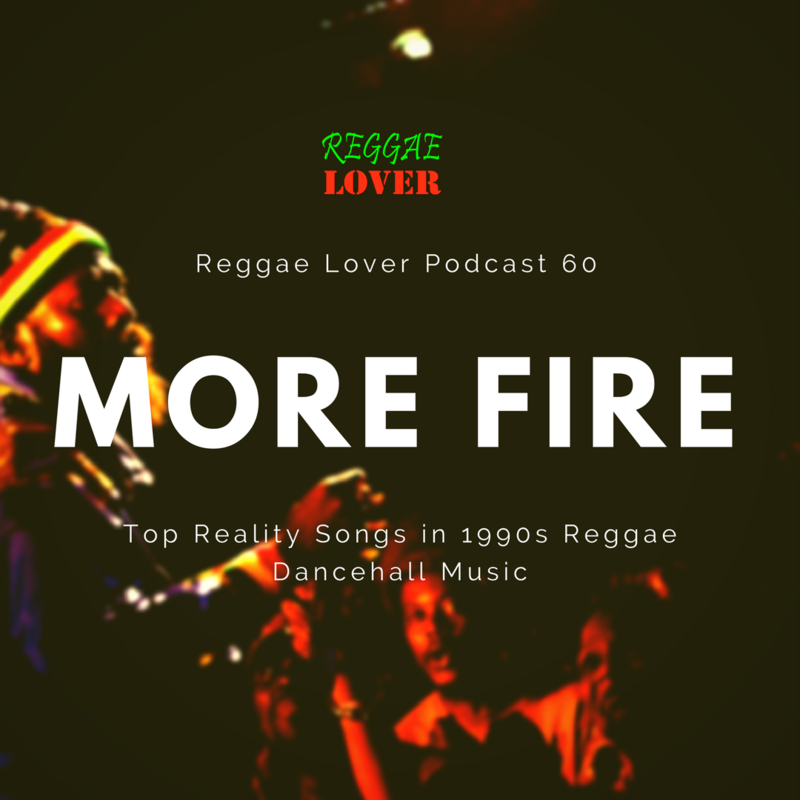 Reality tunes, similar in content to the roots reggae standards of reggae’s foundation era, but aligned with the most popular riddims that dominated the dancehall. This was the music that could be heard at the climax of sound system sessions primarily from the mid-1990s to the early 2000s. Please press play and take a brief trip back to “fire time.” More Fire!